How to Update Samsung Galaxy j5 to Android 6.0 Marshmallow . Samsung galaxy j5 Marshmallow Update . 1 Samsung galaxy j5 Marshmallow Update . 1.1 Upgrade Samsung Galaxy J5 to Android version 6.0 marshmallow . 1.1.1 Android 6.0 M Marshmallow Custom rom for Samsung galaxy J5 . Do you want to update Samsung galaxy J5 to android 6.0 marshmallow ? Then you are at right place . today we are here with the Method on How to upgrade Samsung galaxy j5 to android Marshmallow . Samsung galaxy j5 was among one of the most selling smartphones on flipkart in the year 2015 . 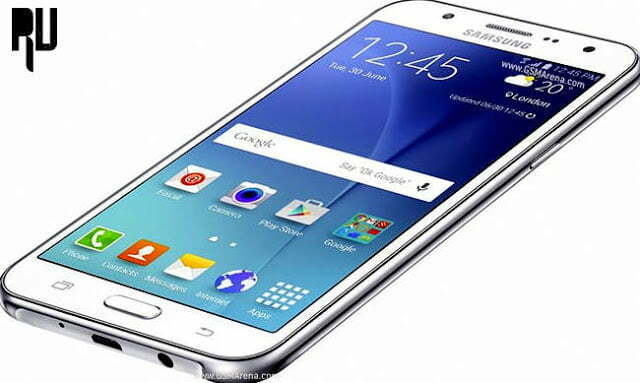 Galaxy J5 is a 5 Inch device with a quadcore processor and 1.5gb of ram , But as we all know that samsung is bad in upgrading their smartphones and since the launch comapny never upgraded the smartphone . So today we are here with a Guide on How to upgrade the samsung galaxy J5 to android 6.0 marshmallow . Upgrade Samsung Galaxy J5 to Android version 6.0 marshmallow . The first method is the easiest and basic method to update The Samsung J5 to android marshmallow , However this method will only work if the company has rolled out the update from their end . After turning off , remove the battery for 2 minutes . Plug in the battery again and turn on the smartphone . After opening About phone you will see a ” System Updates ” Option . Just open that . Now you will see a ” update available ” Option , Just open that . After downloading the update you will be asked to reboot the smartphone and install update , just tap on yes . Thats all you have successfully updated your Sasmung galaxy j5 to android 6.0 marshmallow . In this method we will use a Custom rom to update the Samsung galaxy j5 to android 6.0 marshmallow . Android 6.0 M Marshmallow Custom rom for Samsung galaxy J5 . Before flashing the rom on your device below are some points you need to remember . This is a custom rom based on Android 5.1.1 Lollipop ( Marshmallow Themed ) . There are some chances of bricking the smartphone . It is recommended to follow each and every step properly . Flash the custom rom at your own risk , we will not be responsible for anything . Download the Custom rom from HERE . Now place the custom rom in the root of Sdcard . Boot the smartphone in Cwm/Twrp recovery mode . Wipe Data / Factory reset . Now Select ” Install Zip from sd card and select the custom rom you downloaded earleir ” . Thats All !!! you have successfully flashed the android 6.0 marshmallow custom rom on your samsung galaxy j5 . SO this was our guide on How to update Samsung galaxy j5 to android 6.0 marshmallow , I hope the android 6.0 marshmallow custom rom for Galaxy j5 helped you in updating . thanks for the hint to update my phone..
Hi, i have a Samsung J500g. Can i install Marshmallow 6 still? or do i have to wait for a new update? Hi Mathews , Yes you can install Marshmallow . Yes you can also Upgrade . You will not get official android n 7.0 nougat update if the device is rooted . my samsung j5 2015 bought in the hongkong can i use method 2 to update my cellphone ? As soon as the company rolls out the update you will get a notification . Minimum space required in your smartphone is 4Gb .